Easy-to-make macrobiotic salad from the kitchens of Comptoir 102. 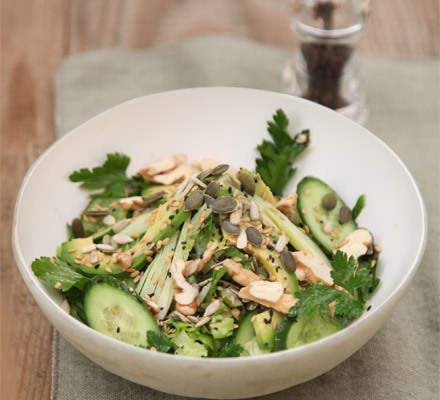 Mix the salad leaves, cucumbers and avocado together. Add the fennel, spring onions and walnuts. Toss well and sprinkle the seeds, oils and lemon juice all over. Garnish with parsley leaves, season and serve.